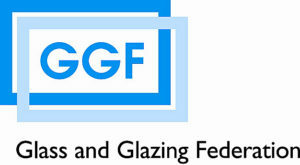 When you are considering spending your hard earned savings on home improvements that can run into thousands of pounds, such as upvc windows, it makes sense to compare glazing prices first & look for a contractor that can be trusted – in the double glazing industry this can sometimes be difficult. A good pointer to the competence & abilities of any given installer is whether they are full members of reputable trade associations – membership of these trade associations generally means that the contracting company has gone through a vetting procedure which covers their track record, skills. You should make it a point to use installers that can prove their suitability to carry out the work to a decent standard and who are approved by reputed trade associations that have clear standards & working practices. Bear in mind that if you are having power & other utilities connected to your property as part of the project, then the contractor should also hold the relevant qualifications to do the work.